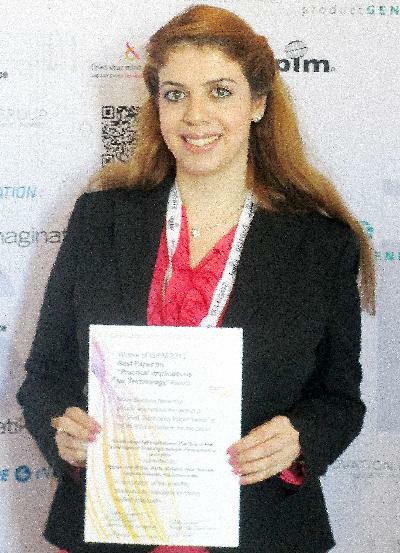 Mid-June, the research paper titled „Accelerating High Involvement: The Role of New Technologies in Enabling Employee Participation in Innovation got the ISPIM 2013 Conference Best Paper Award on Practical Implications for Technology from the Nokia Siemens Networks. The paper explores in a multiple-case study approach the current context of involving employees in innovation. Whilst long-term strategic benefits could flow from organizing enough participation across the workforce, creating structures that sustain such a culture is highly complex. The paper by the authors Nagwan Abu El-Ella and Professor Andreas Pinkwart (both HHL Leipzig Graduate School of Management), Professor John Bessant (University of Exeter), and Martin Stoetzel (University of Erlangen-Nuremberg) shows the extent to which known enablers for high involvement innovation are nowadays applied, and how classical barriers are overcome especially with the adoption of new interactive web-based technologies. Co-author Nagwan Abu El-Ella from HHL’s Stiftungsfonds Deutsche Bank Chair of Innovation Management and Entrepreneurship comments: „Interestingly, the findings of our paper show that although the introduction of technologies seems to create a new momentum for disseminating high involvement, it simultaneously evokes a multitude of new challenges. Reacting to these new challenges requires a conscious adjustment of established routines and cultural habits that the paper discusses as implications for practice and for the ongoing and future research. The paper „Accelerating High Involvement: The Role of New Technologies in Enabling Employee Participation in Innovation“ is an ongoing joint research project between the above-mentioned research team from HHL Leipzig Graduate School of Management, University of Erlangen-Nuremberg, and the University of Exeter. The awarded research paper was presented at the XXIV ISPIM Conference – Innovating in Global Markets: Challenges for Sustainable Growth in Helsinki (Finland) on June 16-19, 2013, and was handed over by Fabian Schlage, Head of Innovation Management at the Nokia Siemens Network. ISPIM (The International Society for Professional Innovation Management) is the oldest, largest, and most active innovation association in Europe. It is comprised of an international network of researchers, industrialists, consultants and public bodies who share a special interest in innovation management. Entrepreneurship has been a cornerstone of the educational program at HHL for many years. With over 130 start-ups founded by HHL graduates so far, we are one of the premier breeding grounds for future entrepreneurs. Our work centers on Innovation Management in new business creation as well as in established companies.